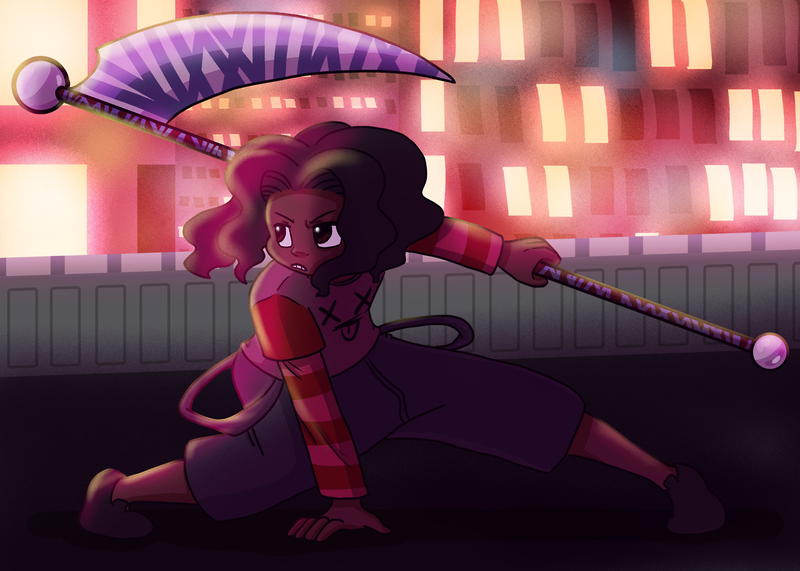 Natasha Withers is creating Comics, Illustrations, and GIF Art! Hello! I'm Natasha Withers and I make art, animations, and comics; you'll probably find me online under the name Saru-Hime. You can find my work at natashawithers.com and sleepy-saru.tumblr.com. A physical body. A sleeping soul within. Those are the key traits necessary to prove one's humanity. But there are others who have been altered from this state of being -- Aberrants, whose bodies and souls don't align with that of ordinary human beings. ...but with these odd alterations, can they still be called 'human'? The story follows a young Reaper named Peregrine who is on a mission to rescue her long lost friend, Navi -- a Soul who possesses a coveted power -- from the clutches of a scientist determined to use the Soul for his own gain. Her search has led her to Skyline City a sprawling metropolis that never sleeps. There, she must work for an organization dedicated to protecting ordinary citizens from rogue Aberrants, known only as RISE. With your support through Patreon, I'll be able to make more art and animations. I'll be able to cut back on my part-time job, pay for rent and bills, and work more fully towards a career in multimedia. 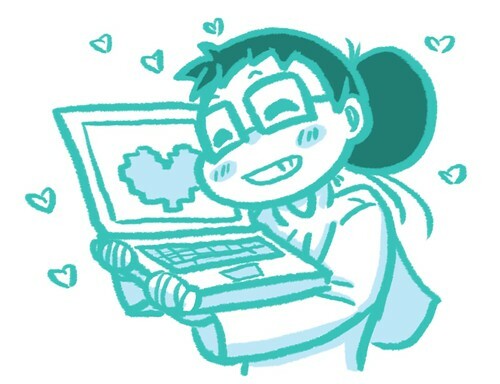 My work will always be available to view freely online, but to thank you for your support, I'm excited to give you guys a little extra: downloadables, extra content, behind the scenes access, sneak peeks at future things to come, and more! If there's anything you might be interested in me doing for Patreon, please let me know so I can consider it! Thanks so much for visiting and thinking of supporting me! A big help with rent and bills!